Dan Willard, owner of Dan Willard Music Service, grew up in the Los Angeles area and began musical training with singing lessons at the age of seven. Later he studied clarinet, sax, flute, guitar, piano, trumpet, trombone, composing, and arranging. 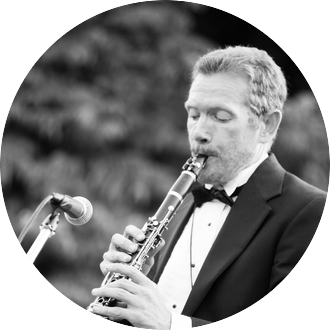 Since moving to Ojai in 1992, he’s had the opportunity to perform with many of the best musicians in the Ventura/Santa Barbara region. Dan has been teaching for over 30 years, including four years at Besant Hill School. He has been teaching at the Ojai Valley School since 2002 and The Thacher School since 2007. He began serving as an assistant music teacher in the Ojai Unified School District elementary schools in 2017. Lessons are $50/hr if you go to his home in Oak View or $60/hr if you want him to come to your home. Please contact us for rates if you reside outside of the Ojai Valley. Half hour and 45 minute lessons are also an option though it’s a 45 minute minimum if you want him to come to you. Also available via Skype.